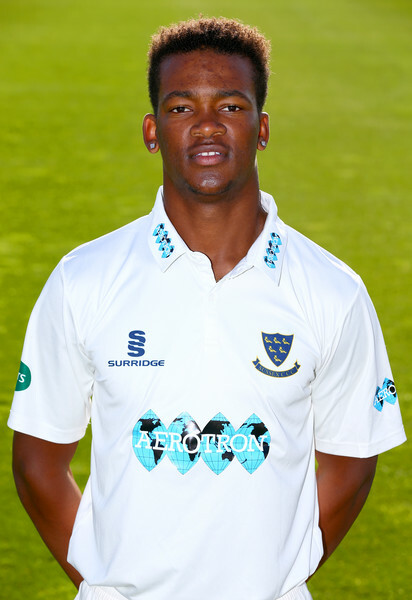 The 2019 Cricket Season for Delray Rawlins is a big one as he attempts to break into the Sussex 50-over and Open Cricket teams. In 2017 Rawlins and his Sussex teammates were crowned the 2017 Second XI Twenty20 champions after defeating Hampshire by 24 runs in the Final at Arundel. Rawlins established himself as a mainstay in the Sussex First XI Twenty20 team that went down by 5 wickets to Worcestershire in the Twenty20 Blast Final at Edgbaston. Pre-Season is underway at Sussex, with Rawlins and his teammates heading to South Africa for a 10-day Tour in March. Rawlins’ name made some headlines a week ago as a column by an editor clearly tried it best to mis-lead the general public and in doing so threw his own reporter under the bus! But maybe if he would have looked in the mirror before publishing his article he could have drawn from his own experience. Rawlins could be presented the opportunity to represent England and if that opportunity presents itself many in his corner would hope he takes the chance, now Mr. Editor that does not mean Rawlins can never represent Bermuda again, just look around the world of Cricket and you will see West Indies/Sri Lankan/Pakistani/English and Indian players playing for their Country and then after a few years later turning out for Canada/USA/Ireland/Argentina and many more. Just like you when you moved to England and worked for a paper, you gained experience and then came back home and now are the Editor, so why would you denied someone the same opportunity to go to the highest level!! Just like you there is always an opportunity to return, with that said, when you want to know something about Bermuda Sports not from an armchair position, ask your reporters who are in the field!!! !